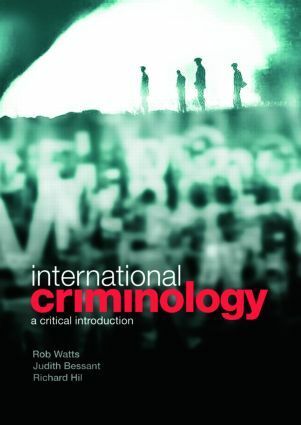 International Criminology is an easy-access critical introduction to how conventional criminologists in the international arena think about and research crime. By using examples from the US, UK and Australia, the authors outline key ideas, vocabulary, assumptions and findings of the discipline while opening up a set of critical underlying issues and problems. From theoretical traditions to historical perspectives; contemporary criminology to reflexive criminology; this all encompassing text covers it all. This is the most valuable introduction to international criminology available for undergraduates and works as a superb refresher for more experienced students.